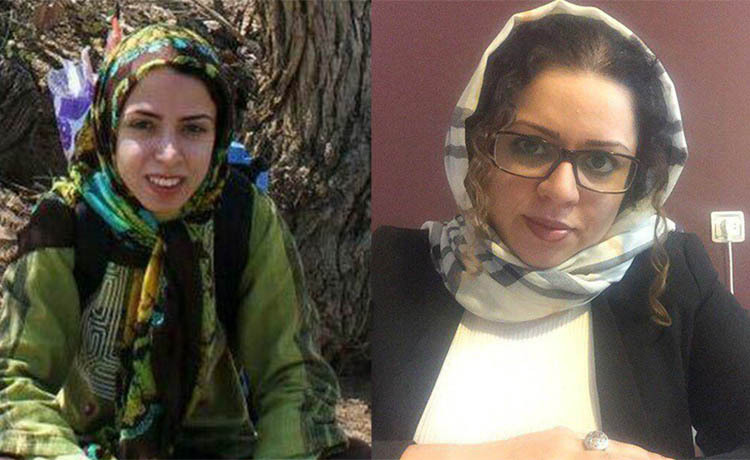 Women's rights activists Hoda Amid and Najmeh Vahedi were arrested by the Islamic Revolutionary Guard Corps (IRGC) Intelligence Organization in Tehran on September 1, 2018 and taken to an unknown location, the Center for Human Rights in Iran (CHRI) has learned. Their arrest took place at their homes three days before they were scheduled to host a workshop about Iran's marriage laws, a source close to the case said in an interview with CHRI. Hoda Amid is also an attorney and Najmeh Vahedi a sociologist. "Amid and Vahedi did not have any mutual activities other than this educational workshop which was organized with a legal permit, so there was no excuse to detain them," the source added on condition of anonymity. "Gatherings like this have been held before and continue to be held." According to the laws of the Islamic Republic of Iran, women do not have rights equal to men regarding the right to initiate divorce, and they can only initiate divorce under certain circumstances such as the husband's mental incapacity or drug addiction. However, activists have held training classes for women to teach them how they can expand their rights with legally binding prenuptial contracts. "Dear Najmeh, you are paying the price for carrying a difficult humanitarian burden," an Iranian named "Negar" wrote on Twitter on September 1. "Otherwise, you have not disturbed peace and security in the country or broken the law. Your only goal was to help women start their married life with awareness and equality." Amid is the sixth lawyer arrested in Iran in recent weeks coinciding with growing discontent in the country as a result of worsening economic conditions and political repression. Meanwhile, a Twitter account under the name "Baraabari" (Equality), called on women lawmakers to respond to Amid and Vahedi's arrest. "Why isn't the women's faction in Parliament defending women who have been detained for advocating their rights," it said. "They have not done anything illegal. They were working to defend women's security and prevent violence against them."